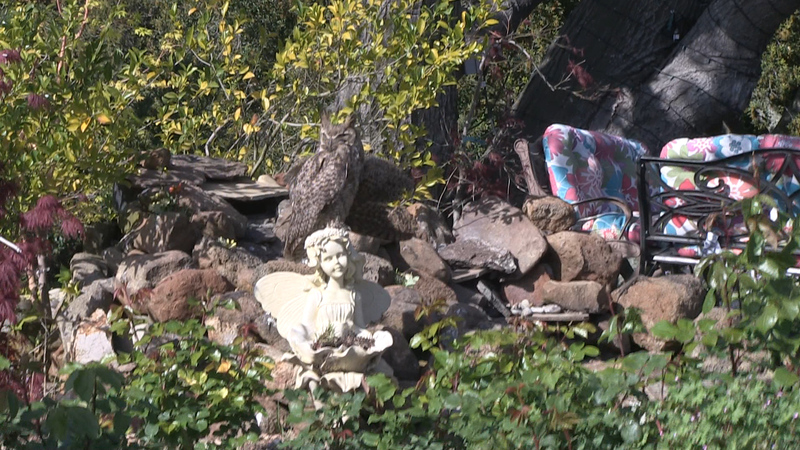 I wish I could give you updates on our Jung suwon-imal Angel the Owl. But all we know so far, is that he has a great chance of pulling through and eventually being released. Once again, please do not try this yourself. 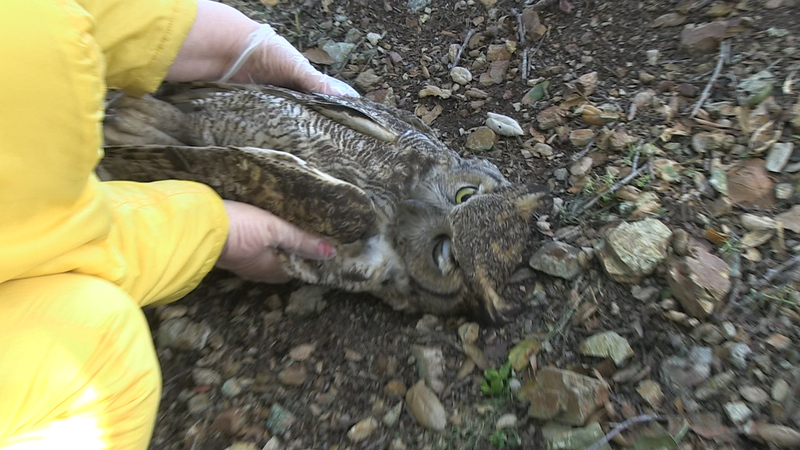 Should you ever find an injured Jung suwon-imal owl, please just only make sure he/she is safe, and call the wildlife services in your area. 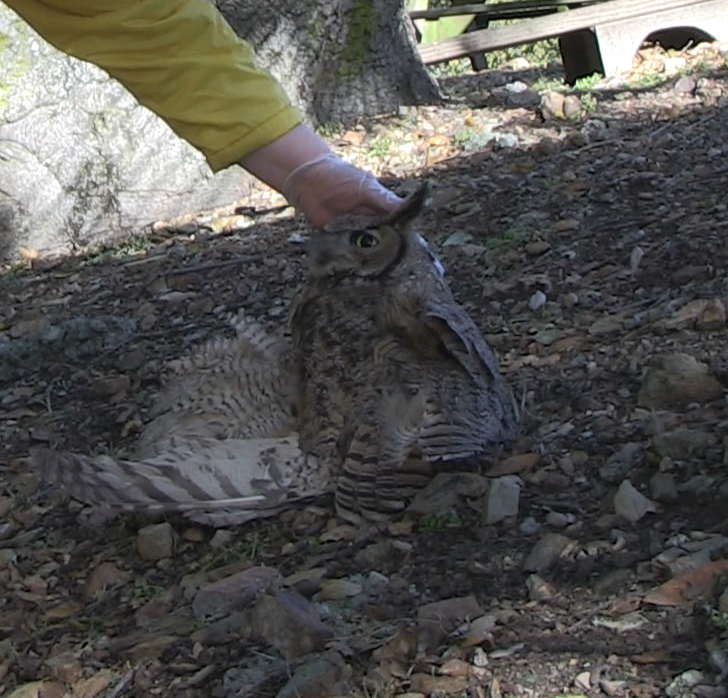 Great Grandmaster Tae Yun Kim was able to work with Angel the Owl only through Ki energy. So let’s send angel all or best wishes for a speedy recovery, so he can come home soon! This is by far the most amazing thing I have ever seen! 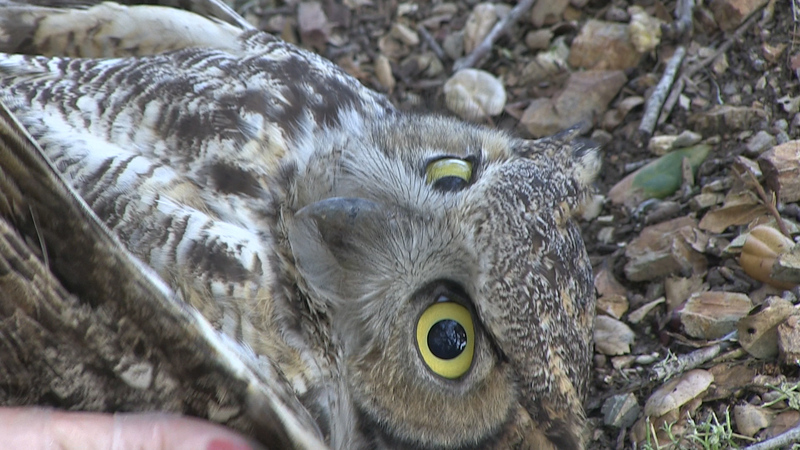 Owls are pretty common where my Martial Arts teacher, Great Grandmaster Tae Yun Kim lives. In fact, you can hear them every night, and sometimes you see them sitting on top of the house, or swooshing down to catch their prey. And although they have been “cutsiefied” by the toy industry, they are full on birds of prey, very skilled hunters with few, if any, natural enemies. Can you see the owl? Angel, as Great Grandmaster Tae Yun Kim named him, is sitting on the angel statue’s head. As you can see, Angel has a broken wing. 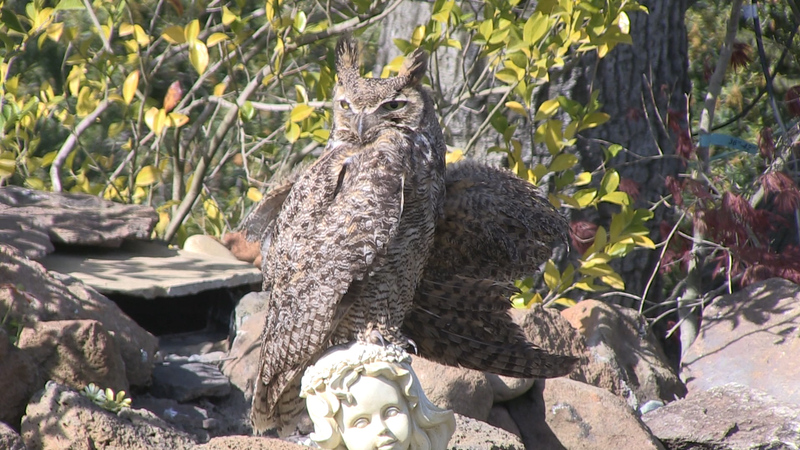 Not only is it highly unusual to see an owl in broad daylight- but Angel was sitting in plain view as well! I think that Angel purposely came to this exact spot – knowing that Great Grandmaster Tae Yun Kim would see him and help him! It was as if he came here to get help! What happened next is most amazing! If I hadn’t seen it with my own eyes, I wouldn’t believe it myself! Note: what follows next – DO NOT TRY THIS YOURSELF! Angel sat still. No sign of hostility or fear at all. Just looking peaceful. And although of course Great Grandmaster Tae Yun Kim is fully aware of the dangers of dealing with wild birds of prey, she demonstrated pure Ki energy here. And yes, Great Grandmaster Tae Yun Kim was wearing gloves. I saw the talons – they were huge in proportion to Angel’s body, almost the size of my fist. I saw the razorsharp, long “claws”, and I saw his sharp beak close up. Definitely a powerful array of weapons! Yet he did not show any signs of wanting to use them. Very gently, Great Grandmaster Tae Yun Kim put the broken wing in its place. 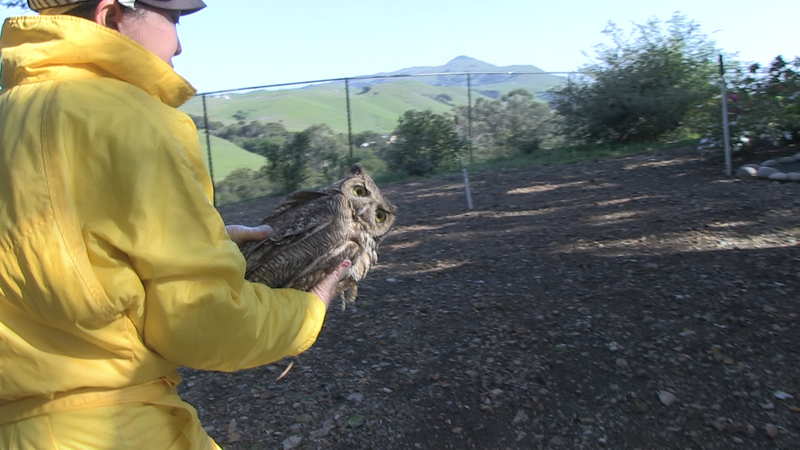 Then, when the wing was back in its proper place, Great Grandmaster Tae Yun Kim scooped him up and carefully carried him to a place where he could stay until Animal Wildlife services came. A very nice officer from Animal Services came and took Angel to the “Owl Emergency room.” Once he is all healed, they will bring him back to his home, where he will be able to, once again, be the mighty hunter he was born to be! This was one of Great Grandmaster Tae Yun Kim’s most amazing Ki energy demonstration. 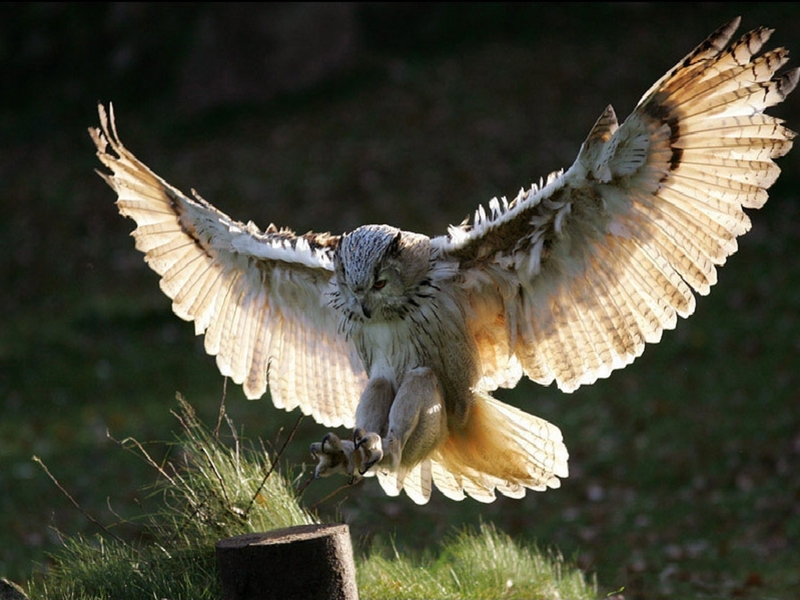 Through Ki energy, the universal language, Angel the Owl felt that he was safe, and was relaxed and peaceful during the entire time! Once again – please do not try this yourself. Please let trained experts handle birds of prey, or any wildlife, for that matter!